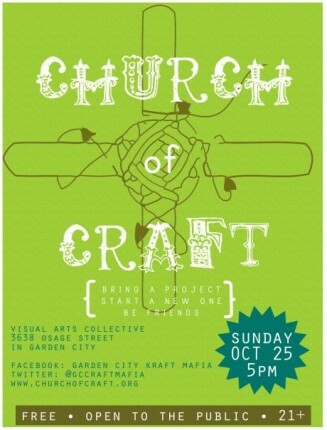 « Toronto Church of Craft gets all HYPERBOLIC! Next meeting is on 10/25, just in time for Halloween. Come make a costume–and wear it to the VaC’s amazing Halloween Parties (10/30 and 10/31) featuring the Red Light Variety Show, Nollifur, Le Fleur & PussyGutt, to name a few. This entry was written by csnow, posted on October 2, 2009 at 12:06 pm, filed under Boise. Bookmark the permalink. Follow any comments here with the RSS feed for this post. Post a comment or leave a trackback: Trackback URL.